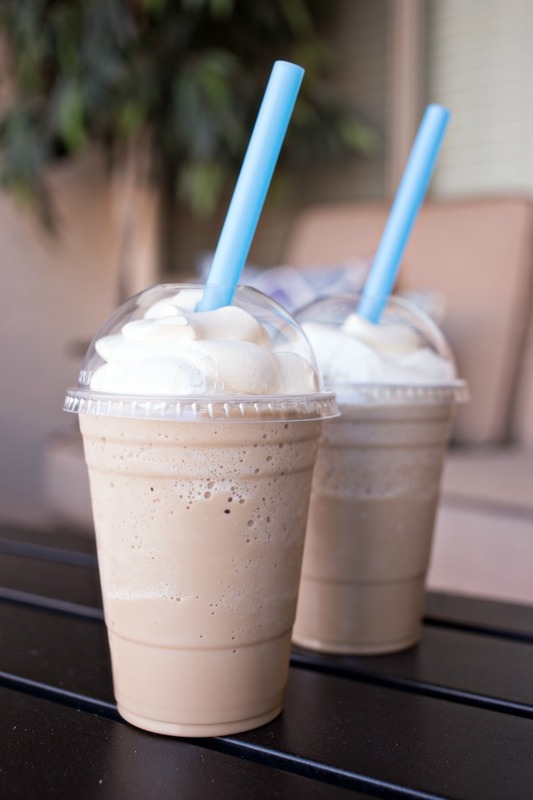 Homemade Frosted Coffee – the perfect coffee treat for the summer! Hi friends! I don’t know where it’s like where you live, but here in sunny Phoenix, AZ we’re about to hit summer REAL hard. We’re talking 100+ degrees, your legs stick to leather seats and you’re running to find any semblance of air conditioning type of summer. 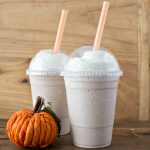 Once these temperatures hit, I make the transition from my favorite cup of joe to iced coffee – my summer fuel. 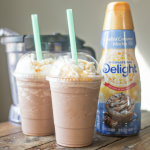 And today we’re sharing a fun and tasty summer treat just in time for the summer months, a Homemade Frosted Coffee with our favorite coffee companion, International Delight! I love making coffeehouse treats at home. And let’s be real here, with a baby at home it’s actually much easier for me to make them at home than it is to load him up in the car and head out. And the Frosted Coffee is one of my new favorites, so after I had one I knew I had to try and make my very own! So I grabbed some International Delight Vanilla Iced Coffee and some Sweet Cream Creamer to get started! First up, I whipped up some Sweet Cream Whipped Cream, perfect for topping the Homemade Frosted Coffee. Just some heavy whipping cream, powdered sugar and some International Delight Sweet Cream Creamer and you have a whipped cream that just can’t be beat! 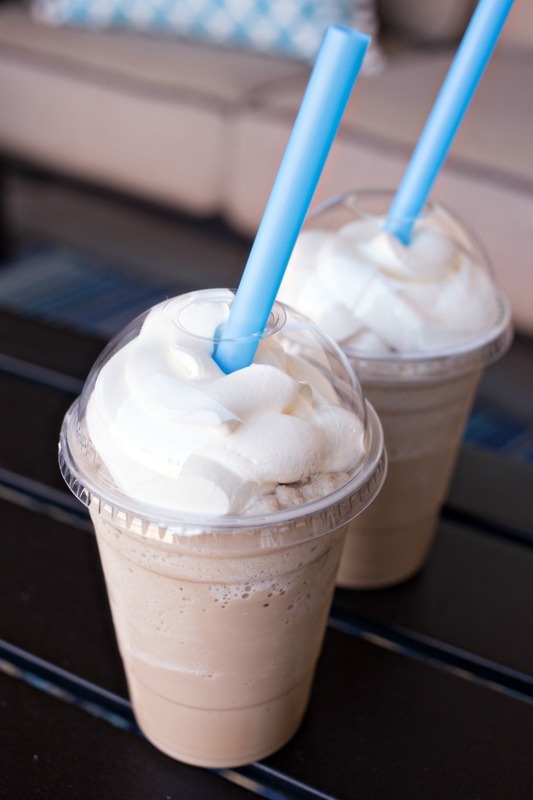 Once you’ve whipped that up, it’s time to make your Frosted Coffee. I tested (it’s a tough job but someone has to do it) a few combinations and found a ratio of coffee, ice cream and ice that’ll get the job done! In a chilled bowl, beat the heavy whipping cream on medium-high until soft peaks form. Add in powdered sugar and Sweet Cream Creamer and beat on medium-high until stiff peaks form. 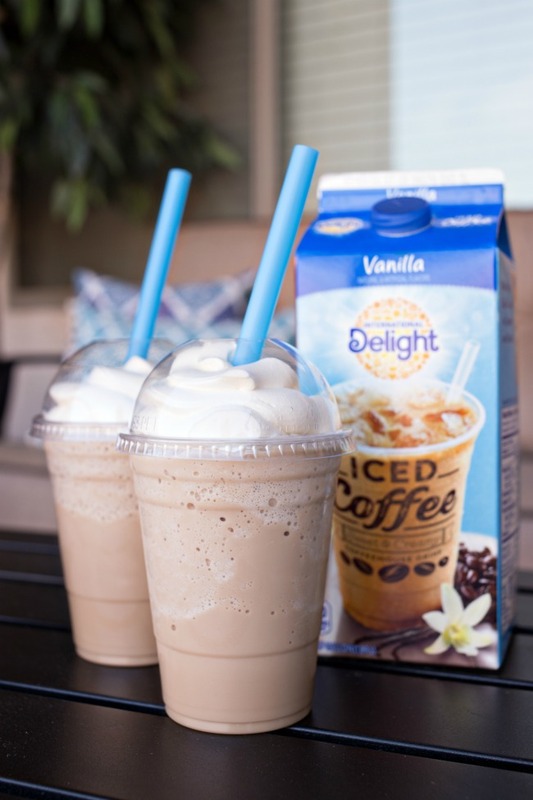 Blend International Delight Vanilla Iced Coffee, vanilla ice cream and ice together until smooth. I mean, who wouldn’t be excited about a sweet, coffee and ice cream treat?! 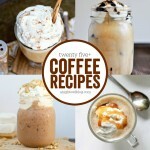 25+ Delicious Coffee Recipes – Lattes, Frappes + MORE! THANK YOU SO MUCH for these measurements! I usually get the medium iced coffee from Wendy’s because it’s enough for a few days.. on the third day, I used the rest to create this. So I swapped the ID (which I love love love, but am out of atm) for the Wendy’s coffee. 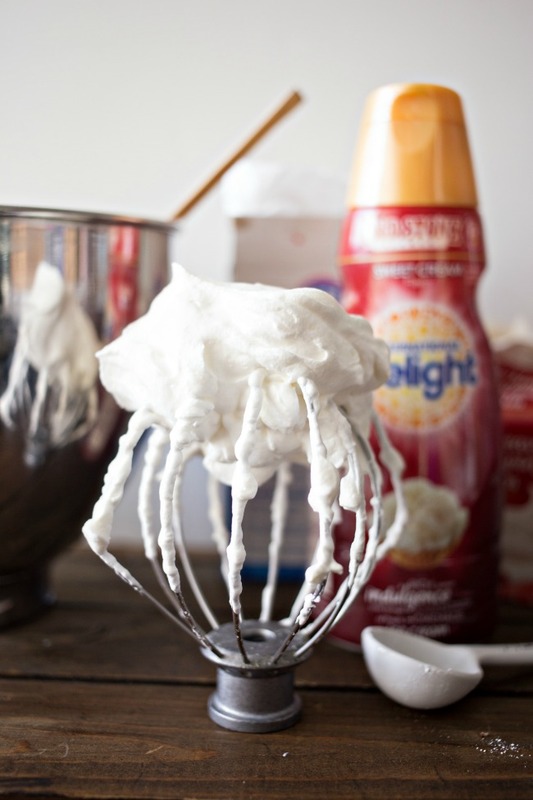 As for the whipped cream (I REALLY need to grocery shop! 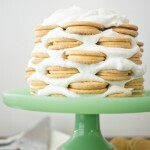 ), we used the ID Simply Pure Vanilla instead of the Sweet Cream. It was so good. I love love the International Delight Vanilla iced coffee. 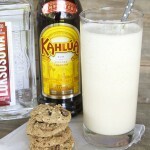 I’m so going to have to mix one of these up bet I’m going to be loving it too. Thanks for your recipe. This looks real good! Will it work mocha flavor? I’m sure it would, Ruthie! Let me know how you like it! This recipe looks chocolate, not vanilla. 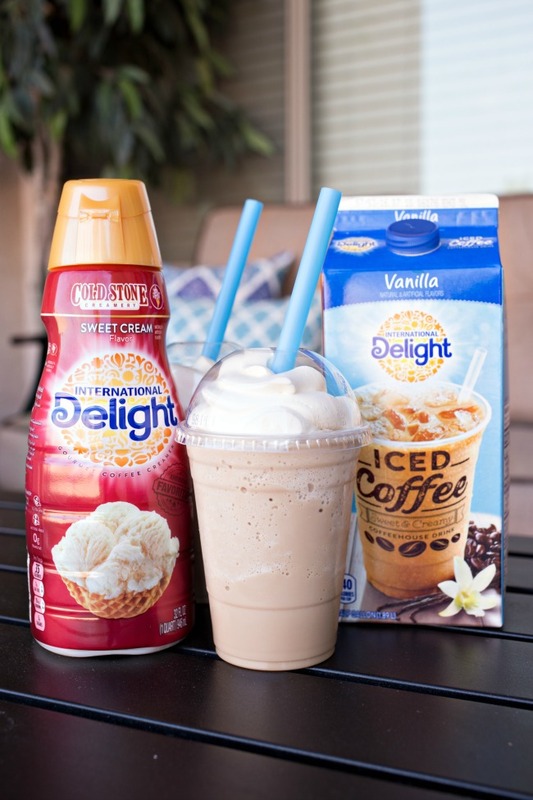 Hi Kasmil, we definitely used International Delight’s Vanilla Iced Coffee – but their Mocha Iced Coffee would be good as well!